Large 3D Printing and superb 3D Prints at a competitive price. This printer is an absolute game changer. Great value for your money! CR-10S is now ships from US for US orders. 3D Prints PLA, PETG, PC, TPU, Copper and Wood fill etc. Compatible with Simplify3D, Cura, Slic3r and Repetier Host software. 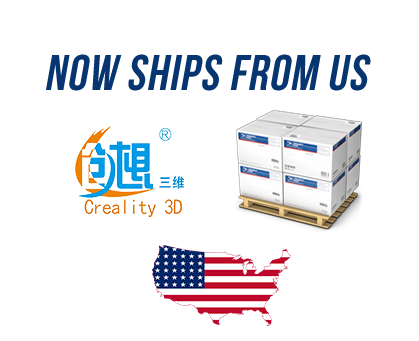 Before shipment, each 3D printer will be carefully calibrated and tested for 72 hours to ensure that the machine works fine. Amazing 3D printer, was shipped very quickly and in a very secure manner. Printer is working perfectly and is such a good printer for a very low price. If you're looking for plug and play, look elsewhere. If you like to fiddle with a machine its a great machine. I love mine. Once you get it dialed in, its a blast to fool with. This is my first printer and to be honest... My cousin has a prusa i3 and he's so pissed at me because I'm getting better print quality. I love it it's an experience every time I turn it on!